Mumbrella’s Travel Marketing Summit is the leading conference for APAC travel marketers – from destinations to transport, martech solutions to travel agents and much more. It will throw into the spotlight the most debated industry opportunities, analyse the biggest campaigns, expose the latest trends and challenge the industry with new thinking. Leading senior marketers from some of the biggest travel brands operating in APAC will speak at the Mumbrella Travel Marketing Summit, making it an unmissable conference for those in the industry during this exciting and challenging time. As the needs and habits of travellers evolve, both at home and abroad, the role of brands is changing, too. Over the past few years there have been raft of reviews leading to brands adjusting, adapting or even making wholesale changes. From national carriers to national identities; American Airlines to Air Tahiti Nui, Bhutan to Bolivia, brands are responding to the shifting expectations of the traveller and the new travel norms. All of those examples where handled by one agency – FutureBrand. The company has been responsible for some of the most high profile refreshes and rebrands in the travel industry, including airlines, hotels, travel experiences and even entire countries. In this session, FutureBrand Asia-Pacific CEO, Richard Curtis, will take the stage to discuss why and how brands are changing, and the trends that are leading the way. Brent joined the SATC in November 2015 as a marketing communications specialist with experience in Advertising and Branding, Digital, PR, Sponsorship and Communications across the banking, retail and telecommunications sectors. Since joining the SATC, Brent has been responsible for overseeing $1.6Billion in growth in the tourism visitor economy to date, in the process launching a new global brand for tourism in South Australia, two global TVC campaigns and a digital program that now seessouthaustralia.com attracting over 6Million visitors annually. Brent also oversaw the successful partnerships with Chinese megastar Huang Xiaoming, and Masterchef Australia – including the brand ambassadorship with chef Gary Mehigan. The team continue to develop South Australia as a destination of choice for domestic and global travellers, through a strong focus on digital marketing, partnerships, trade & distribution and traditional marketing. Emily is a passionate media specialist with over 20 years award-winning experience in content and marketing strategies across TV, radio, print and digital. She is accomplished across a broad range of industry sectors including Travel, Entertainment, FMCG and Media. Emily has split her career between London, Paris, Sydney and Melbourne working for blue-chip companies such as Luxury Escapes, Southern Cross Austereo, Nova Entertainment, ITV, Huffington Post, BBC and Bauer Media. Early in 2018, Tourism Australia launched a massive marketing push with the aim of boosting American tourism to Australia. The ‘Dundee’ campaign, starring Chris Hemsworth and Danny McBride among other stars, has now gone down as one of the most courageous and creative executions to come out of Australia. The world of tourism and travel marketing has become increasingly competitive and the target customer harder to reach through a disrupted and cluttered media environment. For a destination like Australia to compete in the global market, brands need to be able to cut-through with high impact campaigns that not only get the attention of the target customer but also inspire them to book a trip to Australia. However, to deliver campaigns of this size and scope requires incredible teamwork and an element of bravery to be effective and achieve success. In this special panel session, some of the leading marketing minds behind the ‘Dundee’ campaign will reunite to discuss how it all happened and the processes that made it work. The Destinationists Live: Taking Responsibility for Overtourism – Can Travel Marketers Can Do Better? We’ve reached peak tourism. We even have a catchy name for it: overtourism. Many destinations around the world thanks to rising prosperity, innovations in technology and more effective travel and destination marketing. While the visitor economy might be flourishing, some argue that this tsunami of tourists is damaging the natural environment, changing the character of cities and making it difficult for the people that live and work there. Recognising that, as an industry, we travel marketers have been actively driving increased demand, is it time we pumped the brakes and took responsibility for the challenges of over tourism? We have powerful platforms that we use to communicate with travellers all around the world, so can we use those platforms in a more responsible way? Can we deliver stories that balance marketing messages with a responsibility to protect the destination, the natural environment, its locals and their way of life? This topic and these important questions will be debated by some of Australia’s leading travel industry voices during a special live episode recording of The Destinationists, the podcast for the modern travel marketer. Co-hosts Andrés López-Varela and Lauren Quaintance will lead a panel of some of Australia’s leading industry voices including Sam McDonagh (Country Manager, Australia and New Zealand, Airbnb), Susan Bonner (VP and Managing Director, Royal Caribbean Cruises, Australia and New Zealand) and Laura Clarke (Co-Founder of the Palau Legacy Project). Graham is a seasoned executive leader with experience working across the global travel, tourism, media and hospitality sectors. The thread that has flown through his career is his passion for marketing and the ever evolving travel distribution and technology landscape. These interests began with Utell International, at the time the worlds largest hotel reservations and marketing company. They continued after he moved to France to join Disneyland Paris with responsibility for global hotel and resort sales and distribution. Graham’s love of Australia peaked when he travelled there to attend an annual AFTA conference. He was so impressed that he committed, then and there, to live there one day. Fast forward a decade and Graham moved to Sydney with his family to take up the role of Chief Executive Officer, Traveland. After five years and having grown the business to be a $1.3B retail travel business with 400 franchisees, he worked with colleagues to convince government(s) and industry to commit $9M to grow domestic tourism. The resulting organisation became See Australia where Graham was CEO. See Australia became one of three organisations amalgamated to form Tourism Australia. Graham was appointed Managing Director, Classifieds at Fairfax Digital in 2007, where he had first hand experience of the digital revolution and its impact on print. Following, in 2011 Graham was appointed CEO, Inland NSW, following the amalgamation of four smaller regional tourism organisations. In 2016, Graham collaborated with a group of successful travel start-ups who are set to apply artificial intelligence (AI) and machine learning to transform travel distribution. Most recently, Graham was appointed Managing Director, Best Western Hotels & Resorts, Australasia in May 2018. Graham’s career journey has led him to appreciate the vital role of leadership, culture, innovation and transformation (disruption) in keeping organsations relevant in the ever changing landscape. Community and collaboration is key. To succeed, multinational organisations must maintain an outside looking in customer perspective and always think global but act local. Lynn Qu joined Trip.com in July 2018 and serves as the Vice President of Product and Retail. Prior to this, she was based in London and led Global Programmatic Marketing Product for HomeAway, an Expedia company and one of the world’s largest online vacation rental provider. Ms. Qu started her career in the Online Travel Agency (OTA) space at Expedia, in Bellevue, Washington, where she worked her way from software development intern to Senior Director of Technology for Lodging Shopping, Pricing, and Sort. In 2018 the travel industry was shaken up by a few key campaigns which challenged the marketing rule book. One organisation ruptured the status quo more than most – the South Australian Tourism Commission (SATC). Adelaide and South Australia have always been challenger brands and in 2018 the SATC stepped up the game in trying to stand out from the crowd. Included in its recent marketing risks was the recruitment of Chinese megastar Huang Xiaoming as a brand ambassador, a partnership with Masterchef Australia and Gary Mehigan, and the launch of a purely unbranded, CTA-free, ad campaign followed by a 120 hour stream online. In this session, Director of Marketing for the SATC, Brent Hill, will explain why 2018 was the year South Australia pushed the marketing boundaries, what its strategy has been, how it has been delivered and whether it’s working as planned. Over the last 30 years, some travel businesses have successfully surfed the consumer wave while others have landed face down in the turf. One of those that has generally surfed is Best Western Hotels & Resorts. In this session, ride the wave with Managing Director, Australasia, Graham Perry, who will provide important learnings, insights and stories that will prove vital for marketers wanting to capture the ever quickening consumer travel wave. The key marketing drivers that underpin performance and growth are the same today as they were 30 years ago: consumer insight, brand, scale, loyalty, travel technology and distribution, and people, but they must be managed properly so companies can surf a wave of performance. Michael Ritchie is the Managing Director/ Executive Producer and co-owner of Revolver/Will O’Rourke an Australian based production company known for its commitment to produce work that people seem to remember and hopefully like. Michael began his career in agencies, Head of Broadcast at Ogilvy in Sydney, then a more regional gig at DDB HK. From there he moved into production side and in 1999 saw his most successful collaboration when he joined and later became partner with Steve Rogers at Revolver. He has been involved in international juries at every major advertising show including Cannes Lions, D&AD, LIA, Ciclope and has twice been chairman of the Craft Jury at AWARD Awards. In 2018, Revolver/Will O’Rourke were awarded runner-up for the prestigious Palme d’Or at Cannes Lions, the first Australian production company to ever do so. They won Ciclope Asia Production Company of the year and were ranked 4th in the world by D&AD. On home soil they also took home AWARD Award’s prestigious Production Company of the Year & most recently B&T Production Company of the year. Michael and Steve together with Martha Coleman have also launched REVLOVER, a new TV & Feature Film production company. Jim has been a creative leader for some of Australia’s most respected agencies, creating some of the country’s best known and most effective communications and helping to lead 3 separate agencies to Australian Agency of the Year along the way. His work has consistently won creative awards at every major global advertising award show, and in 2009 his commercial for Schweppes titled ‘Burst’ was the second most awarded television commercial in the world. He has judged and chaired multiple international award shows, has spoken on stage at the Cannes Lions International Festival of Creativity and helped nurture the next generation of talent by chairing the highly regarded Australian creative education program, AWARD School. Despite being an industry recognised creative talent, Jim still struggles with writing his own bio. Chris began his career seven years ago, but don’t let his tenure fool you. He is one of the industry’s most respected and awarded strategists; winning everything from Global Cannes Young Lions, B&T 30under30, to Campaign Asia’s Young Achiever and Strategic Brand Planner of the Year. Currently the head of strategy at UM Australia, Chris has helped some of the country’s most prestigious brands take the brave leaps necessary to impact culture and grow their brands. This involved leading some of the most famous and effective campaigns in recent years, such as Meat and Livestock Australia’s Spring Lamb, LEGO’s Star of Christmas and Tourism Australia’s Aussie News Today and Dundee. Outside of Tourism Australia, Chris also has a raft of tourism experience, having worked on Destination NSW, Tourism and Events Queensland, and the Australian Government’s Department of Foreign Affairs and Trade. Today, many travel brands are in the process of onboarding and improving access to customer data and they often look across the wider plane of marketers to get ideas and best practices. Yet travel marketers are dealing with a very particular set of behaviours that make it hard to use data the way many other marketers do. Travel products can be expensive and purchases are often paid for by someone else (for work), or packed with emotion (for leisure). Consumers want travel brands to lean in. In fact, 83% of millennials say they want brands to track their digital patterns if this would provide them with a more personalised experience. This shows that traditional methods are no longer as effective, and travel marketers must adapt accordingly. Luke is Sales Director, Australia, New Zealand, and the Pacific at ADARA and has more than 16 years’ professional experience working with Search Engine Marketing (SEM) providers and technology based companies across the ANZ region. Passionate about the industry, Luke values insight, creativity and technology in equal measure ensuring an innovative approach to developing data and technology led strategic solutions. Luke’s international stream will explore the challenges of marketing to today’s traveller and how data and technology can help brands create seamless customer experiences across all media channels and devices. His session will focus particularly on personalisation within the booking process and how to follow that up with the traveller experience whilst consuming the end product. He’ll also be pointing out what you may be doing wrong! Travel Centred Marketing: Which Half of Your Marketing is Working? This is a question that as performance marketers we struggle to get concrete answers on, simply because there’s a real lack of alignment between our customer journey and our actual marketing activity. While over the past few years personalisation has become the aim of the game – the lack the clarity and insight we need into our marketing investment is too often impacting our bottom line. So how do we reduce wastage and increase yield on travel? In this session, Tom Spencer from Cooperate will explore the latest customer journey-driven marketing frameworks that are enabling travel brands to see the whole picture – providing sophisticated marketing machines with the focus required to move the needle on core business objectives and drive customer action. This year Boom aims to test its Overture supersonic jet set to be released in 2023. It’s a project that already has interest from top tier airlines. Will Boom revolutionise the way we travel by bringing a past technology back? Do marketers need to take note? Should we even care? The trends we should really be paying attention to will be revealed in this eye-opening session when MyTravelResearch.com’s Carolyn Childs takes the stage to outline the results of detailed trend updates that have been conducted over the past few months. From destinations to spending patterns and everything in-between, if it’s worth knowing for the year ahead, Childs has discovered it and will present it at the Mumbrella Travel Marketing Summit. Carolyn Childs is a Travel Futurist, Strategist and Co-Founder of MyTravelResearch.com. Carolyn has spent more than 25 years helping travel and tourism businesses achieve their goals by using research and other evidence to guide strategy and planning. She has worked in more than 35 countries on every inhabited continent and brings a detailed understanding of customers and how to connect with them. Is Your Experience Designed for Influence? Today’s best experiences, the ones that are getting a disproportionate share of the PR, social and love from guests, are all designed to influence behaviour. Baked right in, right from the start. So who in Australia and around the world is great at designing for influence? Find out in this session and watch as the experiences are reverse engineered to illustrate what makes them great and how travel marketers can build from these insights. You can’t have external influence if you don’t have internal influence first, however. This session won’t just be about theory and case studies, you’ll learn how to master one powerful tool that you can start using today to lead your organisation in designing it’s next breakthrough competitive advantage… Influence. On the 5th of December 2018, Avalon Airport welcomed its first ever international flight, Air Asia X D7217 from Kuala Lumpur, Malaysia. It capped off what has been a significant year for the airport. It launched its industrial hub with Cotton On Group as the anchor tenant, started a travel and lifestyle magazine with Grin Creative and created a partnership with Tourism Greater Geelong and The Bellarine. Air Asia X’s use of Avalon Airport now positions it as the second international airport in Victoria and Australia’s newest international airport. CEO Justin Giddings will take the stage at the Mumbrella Travel Marketing Summit to explain the strategy behind the growth of Avalon Airport and why, after almost 15 years hosting passenger flights, now was the right time to significantly expand its operations. Justin is in his 10th year as Chief Executive Officer of Avalon Airport. Recently Avalon Airport became Victoria’s second international airport with AirAsia commencing double daily flights to Kula Lumpur. This will generate an additional 500,000 passengers through Avalon and takes the annual passenger throughput to over 1.3 million. Avalon also hosts Jetstar domestic services, is the host of the Australian International Air Show and houses the 35,000 square metre global distribution centre for Cotton On. Justin is also the Chair of the Gordon TAFE (the 2017 Australian and Victorian Large Training Provider of the Year), the Independent Chair of both the Youth Justice Centre Community Advisory Group and the Lara Prison expansion project Community Advisory Group and a board member of the Committee for Geelong. Justin is a graduate of the Australian Institute of Company Directors, holds a Masters of Business Administration, a Bachelor of Commerce, a Gordon Advanced Diploma of Management and is a qualified Aircraft Maintenance Engineer. TV, print, audio, partnerships – for a digitally led business like Luxury Escapes, these platforms and opportunities may not be the first that come to mind in terms of ROI-focused strategy. But for Luxury Escapes, they have been key components to build the brand recently. In April 2017 the brand announced a TV show broadcast via Facebook, later that year it announced a print magazine to be published by Grin Creative and this year marks the third season of Luxury Escapes, the TV series, on Network 10. It’s a strategy that goes against the marketing grain of many other digitally led businesses in different industry verticals. In this session, Luxury Escapes Head of Digital Content and Merchandising, Emily Rayner, will explain why the business has chosen this path, what the results have been and why it continues to invest in off-line opportunities. Social media and smartphones have given rise to the era of visual content — changing the traveller’s journey from inspiration to booking. Our recent survey revealed that 86% of people say they have become interested in travelling to a certain destination after seeing social images from friends, family or peers. By leveraging this content you can stop wasting time and money producing picture-perfect visuals or buying inauthentic stock photos for all your marketing activities – instead you could be tapping into the wealth of real photos and videos travellers create and share online everyday. Gary Zurnamer leads Stackla’s New Business team across Asia Pacific. He helps Stackla’s largest global travel clients create a strategy around user-generated content from guests and travelers sharing about their brands. Prior to Stackla, Gary spent eight years working across brands and agencies on digital strategy in Sydney, London and New York. Andrés is a marketing consultant specialising in travel, destination and digital marketing and the Head of Strategy at Storyation. Until mid 2017 he steered the global content strategy for one of the world’s most respected tourism organisations, Tourism Australia, where he implemented a data-first approach. During his tenure, Australia.com was rated amongst 25 of the best websites in the world by leading travel industry publisher, Skift. Before he worked in destination marketing Andrés held senior agency roles working on marketing and communications programs for brands such as Pfizer, PlayStation, Commonwealth Bank of Australia, Sony, Coca-Cola, Lenovo, Nespresso and more. Andrés is also a lover of (making and eating) baked goods, comic books, video games and the internet’s most famous export, cats. Sam has over 25 years experience in senior management roles across Australia, the United States and Asia, at companies including eBay (10 years, from start-up management team in Australia, Finance Director and New Ventures Category Manager in the US to Director of Southeast Asia) and iiNet as CMO. Prior to Airbnb, Sam was General Manager and advisor to US-based Dollar Shave Club’s Australian business. He now resides in Sydney with his family and Jet, the black dog. Susan Bonner was appointed VP and Managing Director of the Australian and New Zealand operations of RCL Cruises in June 2018. Bonner leads a team of 70 employees and oversees all commercial and operational activities in Australia and New Zealand for the company’s three cruise brands: Royal Caribbean International, Celebrity Cruises and Azamara Club Cruises. Bonner has been with Royal Caribbean International since 2008. Prior to her current position as VP and Managing Director, Bonner was the Vice President of Revenue Management and Onboard Revenue for modern luxury cruise line Celebrity Cruises. Bonner oversaw a team of more than 40 employees responsible for the pricing and inventory strategy of the brand’s robust cruise holiday portfolio; as well as core onboard operations, including retail shops, spa and wellness facilities, internet, casinos, shore excursions and more. Bonner has over 15 years of experience in the cruise industry, including numerous leadership roles. She previously led the revenue management and onboard revenue performance of sister brand Royal Caribbean during the line’s major introduction of the widely acclaimed ship Quantum of the Seas in 2014. She was also involved in the introduction of the brand’s industry-changing Solstice Class ships and revitalisation of its Millennium class. Bonner pursued her higher education studying Marketing at Tulane University in New Orleans. Laura Clarke is a British-born, Sydney-based, multi-award winning communications director and co-founder of the Palau Legacy Project which launched the Palau Pledge: a world-first sustainable tourism initiative to protect and preserve the fragile environment and ancient culture of the Pacific island nation of Palau. The Palau Pledge has gained global recognition for its innovative approach to changing visitor attitudes and behaviour toward conservation of the environment. In addition, it was the most awarded communications campaign in the world in 2018. Other countries and destinations are now following Palau’s example and adopting versions of the Pledge scheme, including Hawaii and New Zealand. Prior to moving to Palau with her husband, Laura held senior communications roles in London, Hong Kong and Sydney, creating campaigns for some of the world’s largest brands. Soon after arriving in Palau, Laura and the Palau Legacy Project team identified the environmental challenges facing the island nation and knew they could put their strategic communications backgrounds to good use – helping preserve Palau for the next generation. Laura is also a best-selling author and now splits her time between Sydney and Palau. In an age of social influencers, what is the role of mediums such as television and print in driving effectiveness for travel marketers? Join leading industry experts from marketing through to content creation, as we discuss how innovative media partnerships and cross channel planning have driven sales uplift and mass brand awareness for leading travel brands. In this panel, hear marketers talk about the role of key ‘traditional’ mediums in not only driving brand awareness but also helping drive conversion down the travel marketing funnel for their brands. As a senior industry figure with more than 30 years of experience, Deb Fox has played a major role in the growth of the Australian travel market, most notably in developing traveller’s appetites for river and small ship cruising with the APT Travel Group (ATG) and has a personal passion for developing good leaders and strong performing teams. As the Chief Commercial Officer for ATG, Deb fosters marketing communication innovation in the changing and evolving landscape of customer segments, needs and the travel space, through a customer centric approach. Director, Marketing & PR, Royal Caribbean Cruises Ltd.
Philippa Walker is the Head of Travel for Nine, previously Fairfax Media. Philippa has spent more than 25 years in the travel industry in senior sales and marketing management roles leading teams in the hotel, wholesale and river cruising categories. With a passion for ensuring travel brands have a connection to Australian consumers by aligning them with the right media choices to create a full marketing funnel approach led by strategic partnerships, Philippa is a big believer in the wonder of travel. Her own passion for travel was ignited at the age of 17 after living in France for a year as an exchange student and she now wants to ensure her children also love the joy travel can bring to their lives. Social media is one of the top five influences on traveller decisions, Tourism New Zealand were looking to harness its power to drive strong advocacy with travellers and New Zealanders and increase engagement across their channels. In late 2017 Tourism New Zealand launched the campaign #KiaOraNZ. It delivered genuine stories created by filmmakers around the world who had visited New Zealand and understood what it’s like to arrive a stranger and leave as whānau (the Māori word for ‘extended family’). Using video enabled the brand to share personal, emotive, stories which resonated with their audience and generated greater organic reach when compared to still image content from the same campaign. The reaction to the campaign was significant and it reshaped how Tourism New Zealand utilised real people to tell their story. #KiaOraNZ has now been refreshed three times, sourcing new stories each time, and continues to form an integral part in Tourism New Zealand’s overall marketing strategy. In this session, Bhavika Rambhai, Social Media Lead at Tourism New Zealand, and Harry Preston, Managing Director at Genero, will explain how they worked together to generate these authentic stories, and the impact the campaigns have had. With 20 years of international advertising experience across the UK, France, the US and Australia, Harry has certainly travelled. Before joining Genero, a global video production platform, he held senior positions at a number of creative agencies across these markets. Throughout his career he has supported a variety of clients in the travel space including Visit Jamaica, Qatar Airways, Destination NSW and of course, Tourism New Zealand. Bhavika is a social media manager with almost 10 years of experience in the field. She has managed social media for Pumpkin Patch, ASB and is currently with Tourism New Zealand. In her role at Tourism New Zealand she oversees one of the country’s largest social media communities and engages with visitors from all over the world. Travelling Through a World of Content: Where to From Here? Content has become the new buzzword in marketing, but the travel industry was arguably all over it earlier than most. The last 12 months have seen some big plays in the travel content space, from HelloWorld and Luxury Escapes investing in TV series to Avalon Airport and Fairfax focusing on print initiatives. So where is content heading for the travel industry in 2019? What is worth investing in? Who is consuming it and has best practice for connecting with consumers through content changed? In this session, travel industry experts from both brands and publishers will discuss the current situation, where content is heading and how to deliver it in a way that will assure a meaningful connection with the audience. Quentin Long cofounded Australia’s largest travel media company, Australian Traveller Media in 2005. The company’s founding product, Australian Traveller magazine quickly became the best selling travel magazine in the country. Known for its editorial independence, savvy reporting and supreme photography, Long quickly became a sought after media commentator on travel. From 2006 he has held weekly radio segments across the country and regular TV appearances commentating on issues and destinations for news and lifestyle programs. He currently has a regular segment on TV with CH9’s Today program and is seen on Ch9’s A Current Affair and News programs. He also is a regular guest on several ABC radio programs and Macquarie Radio Network through 2GB and affiliated networks. In 2012 he launched International Traveller, which went on to eclipse sister title Australian Traveller as the best selling travel magazine in the country. The company also produce bespoke travel and lifestyle content for Australia’s leading travel clients under the Travellers Studio brand. Justin Jamieson is the founder and Managing Director of Grin Creative, a design and content agency with a particular focus on travel. In 2004, he founded the award winning get lost Magazine, a 120+ page glossy travel magazine focusing on the growing demographic of flashpackers seeking unique, boutique experiential travel. Grin Creative also publish the recently launched Luxury Escapes Magazine, National Geographic Traveller (with Adventure World) and Avalon Airport’s custom publication Avalon Inbound/Outbound. Justin can be heard discussing travel trends weekly on 2GB’s Chris Smith Afternoon show and is a regular on the top rating 3AW travel and food program A Moveable Feast including co hosting. He can also be heard on the Austereo networks, 2UE and ABC nationally as well as guest spots on major TV networks and a regular guest on Sky News Travel. He is obsessed with travelling. Helen Demetriou joined News Corp Australia in August 2018 as General Manager, Travel to expand the company’s travel audience, and enhance the value proposition for marketing partners. Ms Demetriou has more than 20 years’ experience in the travel and tourism sectors, having worked for the Wotif and Expedia Group, travel.com.au and lastminute.com.au, Flight Centre, and more recently, the TravelEdge Group as Head of Account Management and Supplier Relations. She has a strong background in sales management, brand marketing, and customer acquisition, and has been at the forefront of major changes in the travel industry. A magazine editor with 25 years’ experience in lifestyle media, Trudi has edited Sunday Life, delicious, Vogue Entertaining & Travel and MasterChef Magazine. Her most recent experience has been in the digital space working in content-driven commerce and launching thestore.com.au. Trudi returned to a full-time editorial role in 2018, taking up the newly created position of Publishing Director across Traveller and Good Food, with responsibility for the brands across all platforms. Digging Through the Data: Can You Really Connect with Your Customers? You don’t need masses of data to begin to understand your customers. Travel brands can begin with observation of basic analytics to find trends in behaviour. From there, simply trialing customisation on a small scale can lead to surprising results. That’s what Trip.com CMO Lynn Qu will assert when she flies in from China to illustrate how the business has been able to make use of the 50 terabytes of data is receives each day in an effective manner. Qu will also explain how Trip.com uses AI and the surprising results it has stumbled upon while trying to understand its customers better. The over 55’s market is the greatest untapped opportunity in the global travel industry. They have the money to spend – more than any other generational cohort and the time and desire to travel. In this session we will bust 10 popular seniors travel myths and beliefs that are providing barriers to connecting with your ideal mature travellers. The +55’s have also lived through the marketing and advertising era. They’ve seen it all and they are no fools. But advertising account managers and creative agents tend to place their own internal lenses and belief systems on the creative process. These are often built on dangerous and incorrect assumptions that can lead your campaign to ‘bomb out’, wasting your time and money. The mature traveller has moved on, but marketers and advertisers are often guilty of subscribing to the grey nomad, silent generation persona. Bronwyn White is the world’s #1 authority on the seniors travel sector. She is the CEO of New Young Consulting a market research and marketing agency that specialises in the seniors travel sector. She shows her clients how to meet the changing needs, values and attitudes of the “New Young” and how forge profitable ongoing relationships with this truly disruptive market. Richard leads FutureBrand’s commitment in Asia-Pacific to creating brands for future business. As a brand and marketing leader with experience across multiple sectors, including travel and tourism, he has contributed to many brand transformation programs – having working with countries, governments, listed companies, private equity firms and internal change management teams. With a degree in Litterae Humaniores from Oxford University, he started his career in Bangkok as an account planner before switching to media planning in London and then brand strategy on his arrival in Australia in 2001. He has contributed to a wide range of significant branding programs, all in the name of creating a positive future and many of which have been awarded by Cannes Lions, Brand New, REBRAND and D&AD. Generation Z is becoming the largest generation in many markets, and one that is quickly gaining financial independence. New global research from Expedia Group Media Solutions illustrates how younger generations are shaping the future of travel, revealing insights into the motivations and mindsets that can help travel marketers connect their offerings to the unique considerations of these travellers. Data shows that Gen Z consider travel a priority, they are interested in a variety of trip types and they are more open to influence and inspiration than other generations, creating an opportunity that travel marketers shouldn’t ignore. Join Expedia Group Media Solutions for research findings and creative, insights-led, campaign examples that will provide a deeper understanding of what influences Gen Z purchase decisions. Attendees will walk away with actionable insights they can apply to their own strategies to effectively inspire, engage with and convert these younger travellers. Gianluca Armando is a director at Expedia Group Media Solutions where he drives business development including the creation and implementation of digital media campaigns for travel marketing partners across Asian and Pacific Coasts. He started his career as an intern at Expedia Group, and over the last 10 years he has gained global experience working in a variety of countries including Italy, Spain, the UK, Australia, and Singapore. Gianluca graduated with a master’s degree in tourism economics and management from Ca’ Foscari University in Venice, and now lives in Singapore with his family. Fantastic attendance! You’ve got over 400 marketers here from the travel sector, that’s a big audience, and great opportunity for people to come and learn and share and explore. It’s really important for marketers to get together and share best practices, so for me it’s really critical to come to days like today. Keynote speakers were fantastic and loved the panel style interview to allow for questions and interaction. This summit provides an opportunity for a swathe of travel professionals to come together and hear from a mix of seasoned tourism speakers and panellists who offer different opinions, thoughts and ideas. The event had speakers highly relevant to travel and tourism, and good case studies to take away. Mumbrella’s Travel Marketing Summit brings together leading APAC travel marketers across brands and agencies to share strategies, insights and case studies. The event offers businesses the chance to get their branding in front of key decision makers across the industry. Raise your brand awareness to a highly targeted audience and speak with us about creating a bespoke sponsorship that fulfils your marketing objectives. 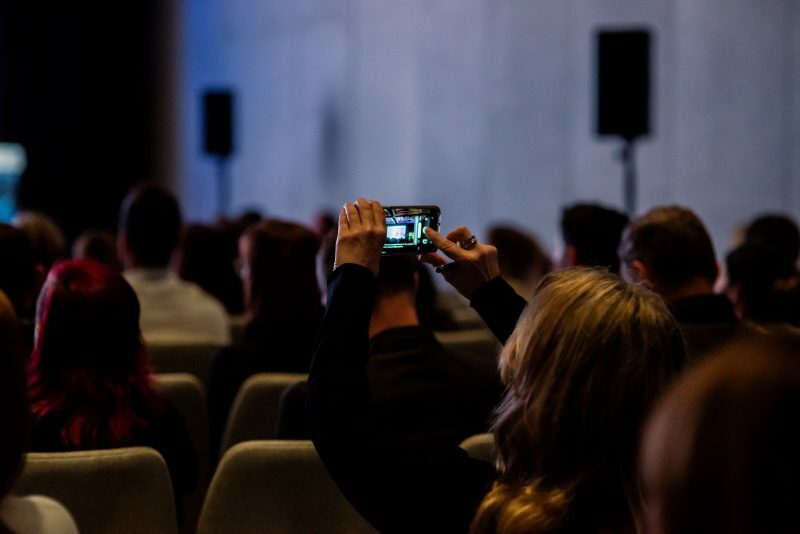 Mumbrella’s Travel Marketing Summit is now in its fifth year, and consistently draws together hundreds of marketing, communications, PR and agency professionals from across Australia’s travel industry. Whether you work for a travel brand or an agency supporting the industry, this event will leave you with inspiration, new ideas and firsthand marketing strategies from the industry’s leading performers. 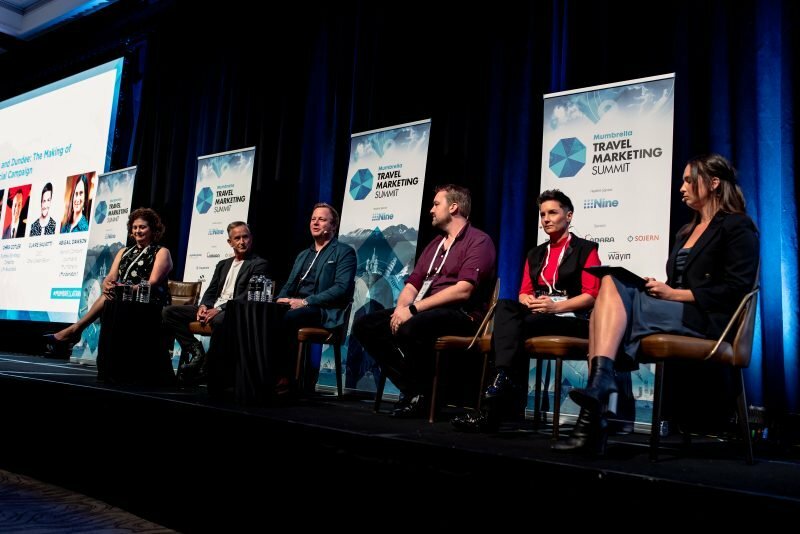 Marketers and senior decision makers are among the top attendees at Mumbrella’s Travel Marketing Summit. Others across digital and content also attend, alongside accounts, client support and business development roles.